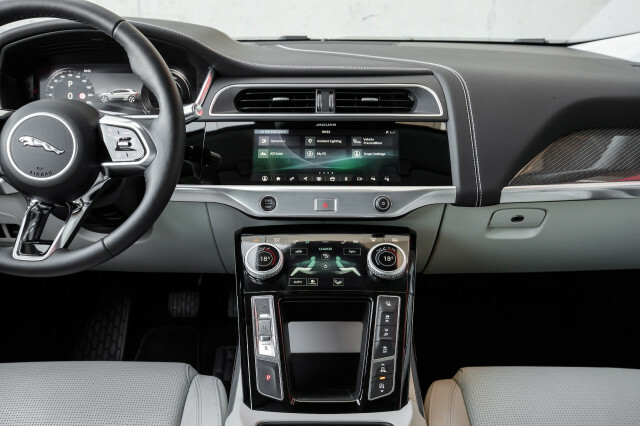 It’s not unusual for fuel gauges on gasoline cars to be inaccurate. Often they can hug “Full” so long you might suspect it’s malfunctioning—only to then swing rapidly toward the halfway mark and below. 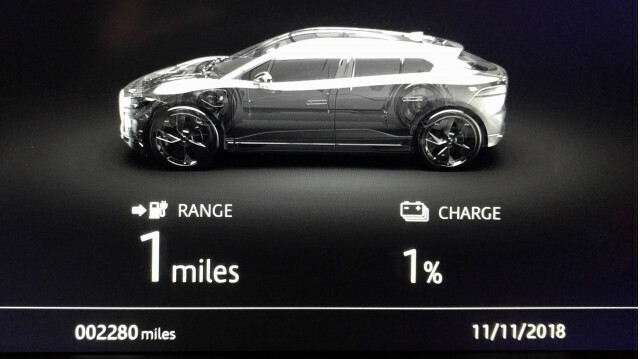 To put a finger on what’s different in the I-Pace, it’s the state of charge. Like that inaccurate fuel gauge, it was moving at a rate I hadn’t anticipated, a rate that didn’t seem consistent with my current energy use. 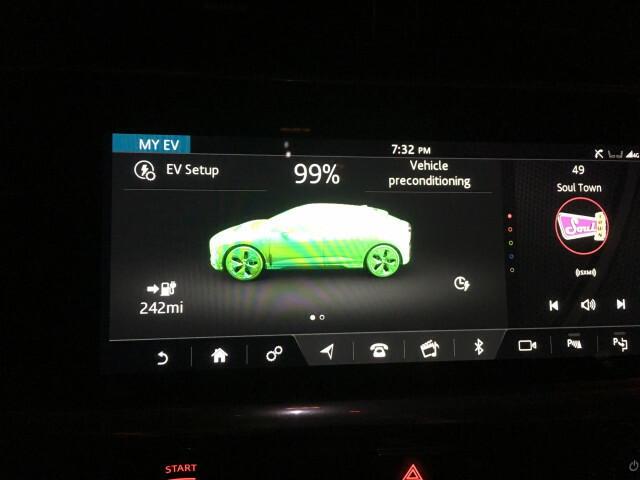 I turned around at 92 miles, with the state of charge still showing 53 percent. 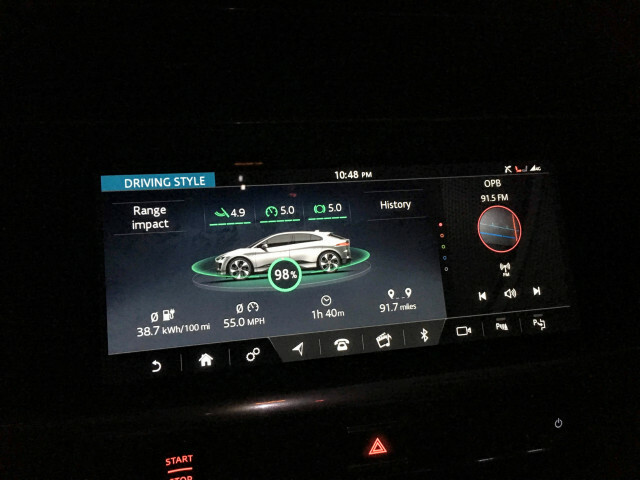 But within some miles after that it became apparent that it was dropping at the same rate if not quicker than earlier in the trip, when I’d kept to higher speeds with the heat on—all while the instant energy readouts were confirming the lower energy use of my slower driving and reduced accessory use. Either that, or the monitors were calling their own bluff. 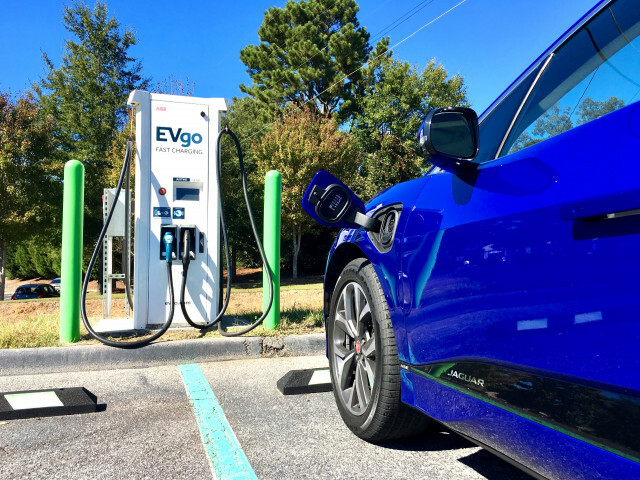 Hoyt also noted that “further driving in cold temperatures will require some power to be diverted, further adversely affecting range.” With temps just 2-4 degrees lower on the way back, could that account for it? 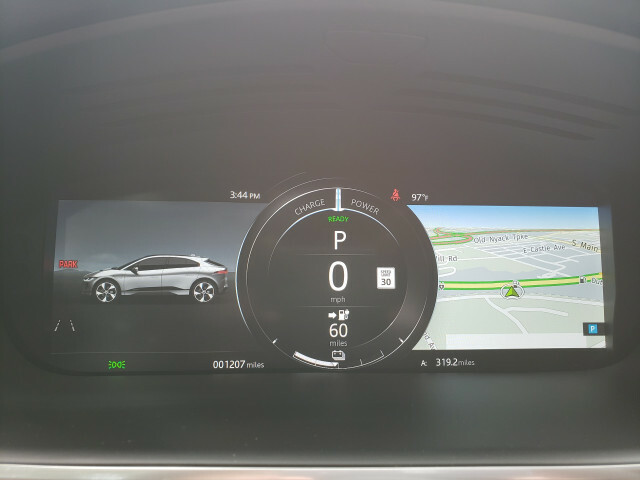 Could driving slower and not running the heat here have actually negatively influenced range because there was less heat for the thermal systems to scavenge? 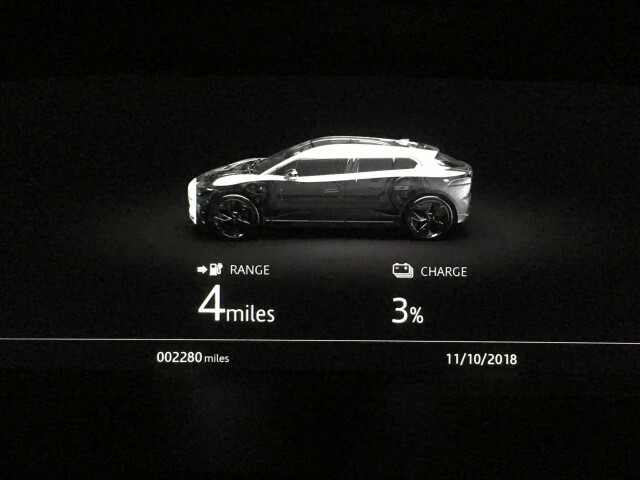 And is that further diverted power represented on the I-Pace’s energy-use displays? If the latter was a factor, it would appear not. 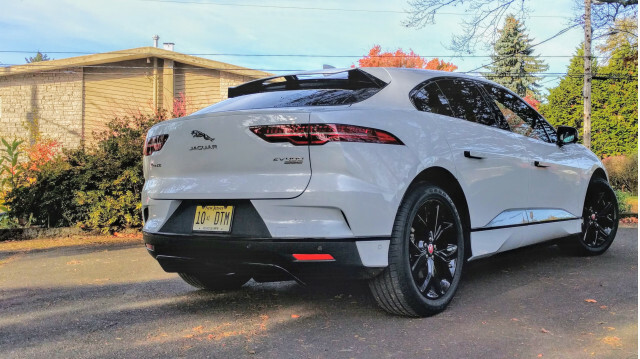 According to Jaguar Land Rover, the I-Pace goes into a mode to keep the battery conditioned to a proper temperature range and connected services on the ready. 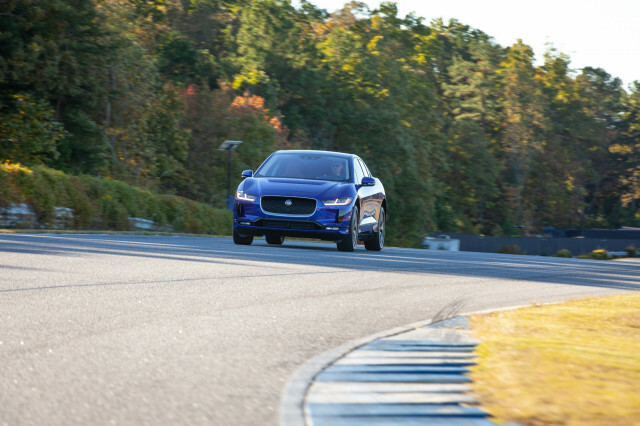 Owners can proactively opt to put the car in hibernation if they’re going to keep the car parked for longer periods.